The kingdom of France, a byword for upheaval and instability for a century before 1660, was transformed over the subsequent generation into the greatest power in Europe and an institutional model admired and imitated almost everywhere. A further century elapsed befoer this hegemony was challenged, and even then the collapse of monarchy in 1788 took most people by surprise. 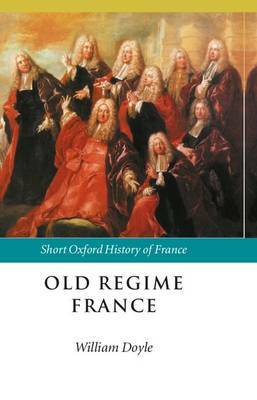 This book, bringing together an authoritative international panel of historians, portrays and analyses the life of France between two revolutions, a time later known as the old regime. All aspects of French life are covered: the economy, social development, religion and culture, French activity overseas, and not least politics and public life, where our understanding has been completely renewed over recent years. A detailed chronology and full bibliography complete this compelling analysis of an age behind whose calm and assured facade forces were developing which were to shape a very different country and continent.